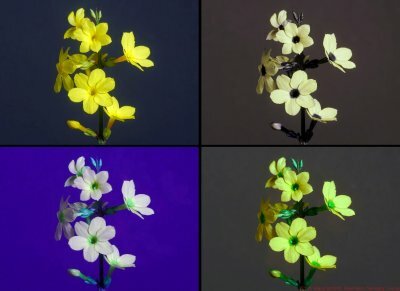 Today shots of a decorative winter flower Winter Jasmine - Jasminum nudiflorum in reflected ultraviolet photography using my "work horse" UV filter, the Baader-U filter as well as in simulated bee and butterfly vision using my XBV filters. All shots were done at f11. Lens was a UV-Nikkor 105mm quartz fluorite lens. Light source was a modified Xenon flash. This attractive winter flower shows its very specific "bullseye" UV pattern. 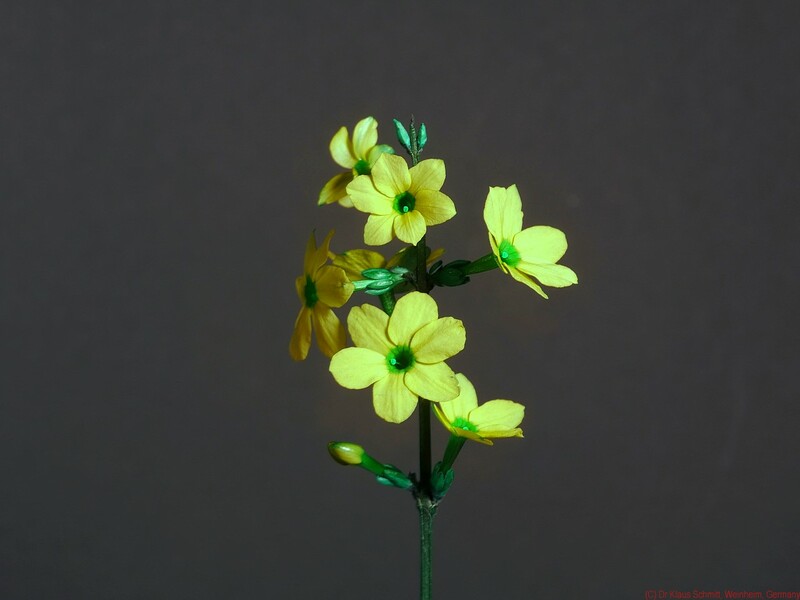 Its center is UV dark, but its petals are strongly UV reflective around 365nm, ie. 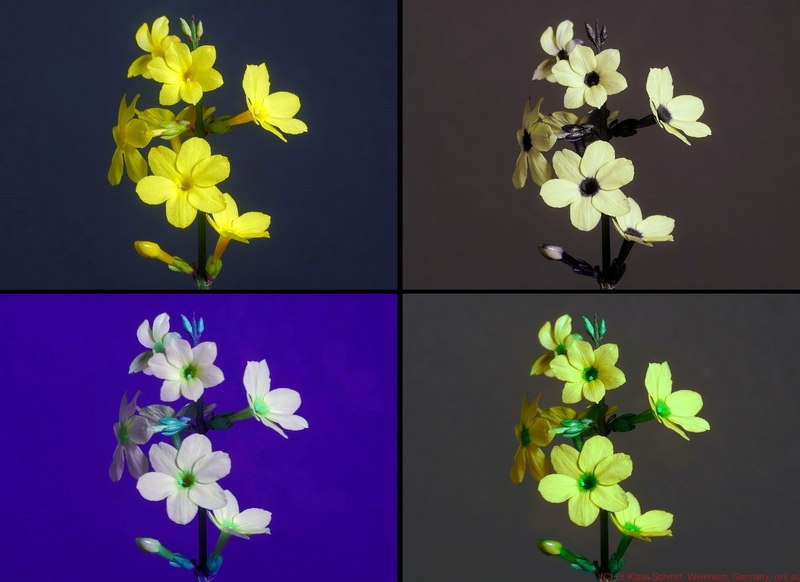 UV bright, both invisible to us humans and all that gets nicely visible also in simulated bee and butterfly vision.